Tara Hutchinson was born and raised in Anchorage, Alaska. She attended 2 years of college as a criminal justice major, and enlisted in the Army in January of 2000. She attended training at Ft Leonard Wood, Missouri and was stationed at Ft Bragg North Carolina and Camp Humphries, Korea. She was stationed at Ft Leonard Wood, Missouri when she deployed to Iraq in January of 2006. While in Iraq, Sergeant First Class Hutchinson was involved in an IED attack on Valentine’s Day 2006 where she subsequently lost her right leg above the knee, and suffered a third-degree burn on her left leg. 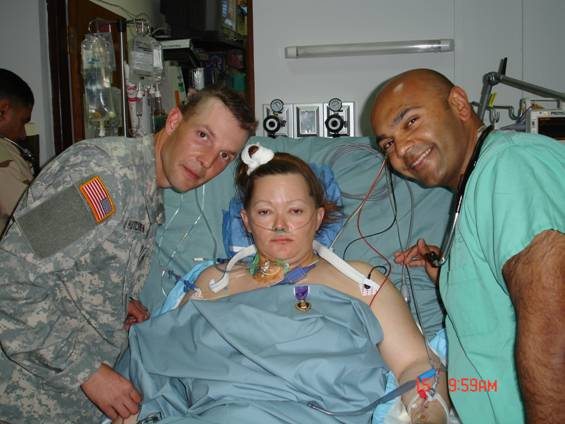 Because of the amount of blood she lost during the attack, her heart stopped. The 20 minutes her brain was without oxygen resulted in a brain injury that manifested itself as a movement disorder. 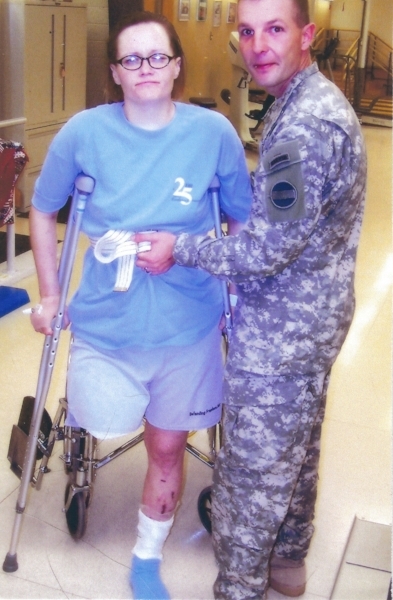 After stops throughout Europe and Washington D.C., Sergeant First Class Hutchinson was finally sent to Brooke Army Medical Center in San Antonio, Texas for physical rehabilitation, where she currently resides. 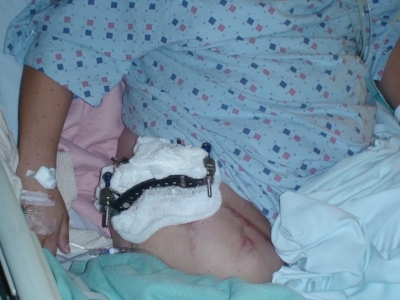 Because of her movement disorder, the balance issues that were caused by her brain injury, and the short length of her residual limb, she has had difficulties using a prosthetic device, and is currently in a wheelchair. In late 2006, Tara’s occupational therapist suggested she try a hobby that used her fine motor skills to help her gain control of her movement disorder, so she started making jewelry. This led to an immense interest in the field, and she soon amassed a library of books, magazines and DVD’s on jewelry making techniques. Over time, her style evolved into an eclectic mix of contemporary and edgy jewelry with extraordinary attention to detail. She specializes in black silver and high-karat gold, gemstone setting, chasing and repousee. Tara shows her work through her website, www.tarahutchjewelry.com, and at international and domestic wholesale shows. Tara was medically retired from the Army in January 2010. Since her injury, she has skied, sailed and completed two hand cycle marathons. 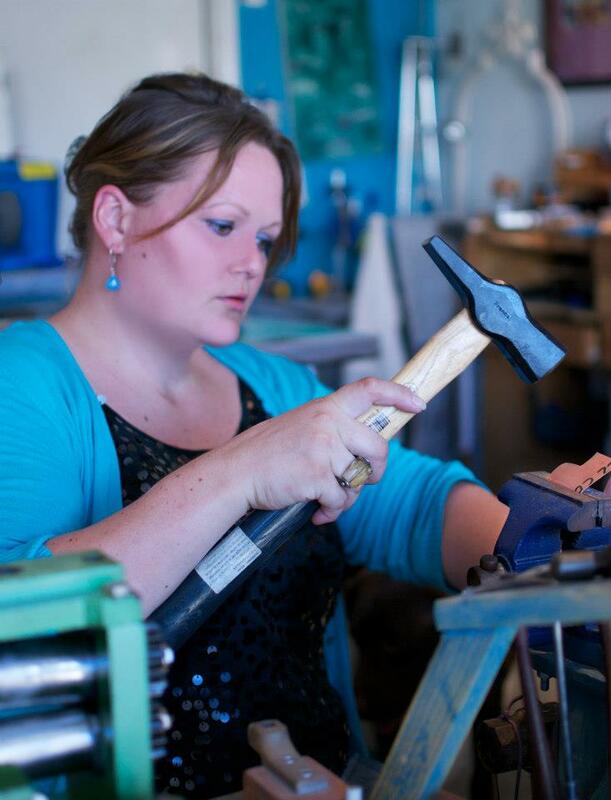 She has one dog and two cats, and is currently the owner and chief creative talent of her jewelry design and manufacturing business, Tara Hutch Designs.